The FIRST Holiday Inn Express In Malaysia, right at the heart of Kuala Lumpur &nbsp; Holiday Inn Express Kuala Lumpur City Centre is the first Holiday Inn Express brand in Malaysia. Conveniently placed at Jalan Raja Chulan, this 383-room hotel is situated at the KL Downtown “Golden Triangle” area with easy access to major financial and commercial towers, including the world-renowned Petronas Twin Towers, Kuala Lumpur Tower, Tun Razak Exchange, Kuala Lumpur Convention Centre and many more.Located right at the shopping mecca of Bukit Bintang area, our hotel is within walking distance to shopping malls like Pavilion, Lot 10, Berjaya Times Square and Sungei Wang Plaza. For endless entertainment and dining options, check out Changkat Bukit Bintang, Jalan Alor and Chinatown, which are just minutes away from our hotel. Beyond our great location, our hotel offers a relaxed, affordable and hassle-free stay experience. Start the day right with FREE Express Start Breakfast or Grab & Go Breakfast option. After a long busy day, freshen up with our rejuvenating Power Shower and sink into our signature bedding with choice of Soft & Firm pillows. Enjoy our 24-hour fitness room, self-service laundry room, Pay & Go counter and internet stations. Stay connected with FREE high speed Wi-Fi access throughout the hotel. If you want to stay in the best hotel in Kuala Lumpur, Malaysia, please come to Trip.com for a custom trip. 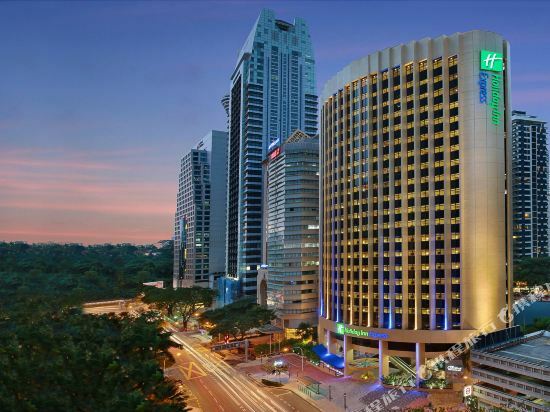 Staying in exclusive Kuala Lumpur Holiday Inn Express hotel Trip.com offers, you can fully relax and enjoy the stay in Kuala Lumpur and around Kuala Lumpur. All these Kuala Lumpur Holiday Inn Express hotels lead in the industry in aspects of environment and recreation facilities, providing the best hotel service in Kuala Lumpur. To ensure that you can find the latest Holiday Inn Express hotel in Kuala Lumpur, the latest hotel price as well as hotel facilities and indoor facilities information will be offered. In the meantime, detailed photos of Kuala Lumpur Holiday Inn Express hotel will be displayed, making you know quickly whether hotel’s interior environment meets your taste. Besides, you can know specific location and reviews on Kuala Lumpur Holiday Inn Express hotel from millions of users. If you want a nice room with limited budget, please filter through price and distance to get an appropriate Kuala Lumpur Holiday Inn Express hotel. To ensure you can experience the best Kuala Lumpur Holiday Inn Express hotel, users and we give a comprehensive rating on hotel, which gives useful help. Believe it or not, as the biggest online travel service company, we have the best service assurance and perfect users’ experience to meet your requirements in different aspects, no matter it’s Kuala Lumpur hotel or Kuala Lumpur Holiday Inn Express hotel.